The Softail Harley-Davidson motorcycle series consists of numerous models, including Softail Standard, Heritage Softail, Heritage Classic, Fat Boy, Fat Bob, Bad Boy, Rocker, Rocker C, Night Train, Night Train EFI, Softail Custom, Softail Deuce, Springer Softail, Softail Nostalgia, Softail Deluxe, Softail Cross Bones, Springer Softail Classic, Blackline, FLST, FLSTC, FLSTCI, FLSTF, FLSTFI, FLSTN, FLSTNI, FLSTSB, FLS Slim, FXCW, FXCWC, FXST, FXSTB, FXSTD, FXSTDI, FXSTS, FXSTSI, FXSTSB, FLSTB and more. From the years 1984, 1985, 1986, 1987, 1988, 1989, 1990, 1991, 1992, 1993, 1994, 1995, 1996, 1997, 1998, 1999, 2000, 2001, 2002, 2003, 2004, 2005, 2006, 2007, 2008, 2009, 2010, 2011, 2012, 2013, 2014, 2015, 2016, 2017, 2018. 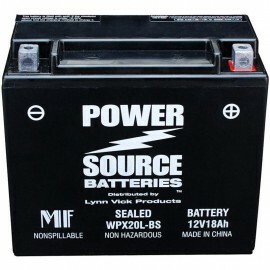 Wholesale Batteries Direct has the high quality Heavy Duty Sealed AGM V-Twin batteries that you want to buy at discount prices to replace the original OEM Harley-Davidson battery in your Softail bike. 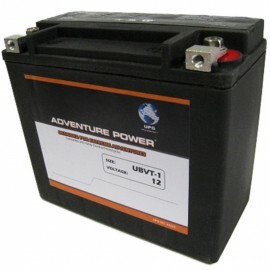 We carry the batteries for nearly all Harley-Davidson motorcycles, dating back to 1964. Our Heavy Duty Sealed AGM batteries were designed with Harleys in mind. 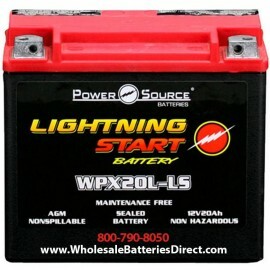 Featuring the High Performance 20ah Lightning Start battery WPX20L-LS to upgrade 65989-97A, 65989-97B, 65989-97C, 65989-97, YTX20L, YTX20HL, UBVT-2, UBVT-4, CTX20HL, CTX20L to 500cca,500 cold cranking amps. All of our Harley batteries carry a full 1 year warranty.